Every year Warren Buffett writes a letter to the shareholders of Berkshire Hathaway. It looks like this year he enjoyed writing the letter especially; the multinational conglomerate posted record profits in 2015. 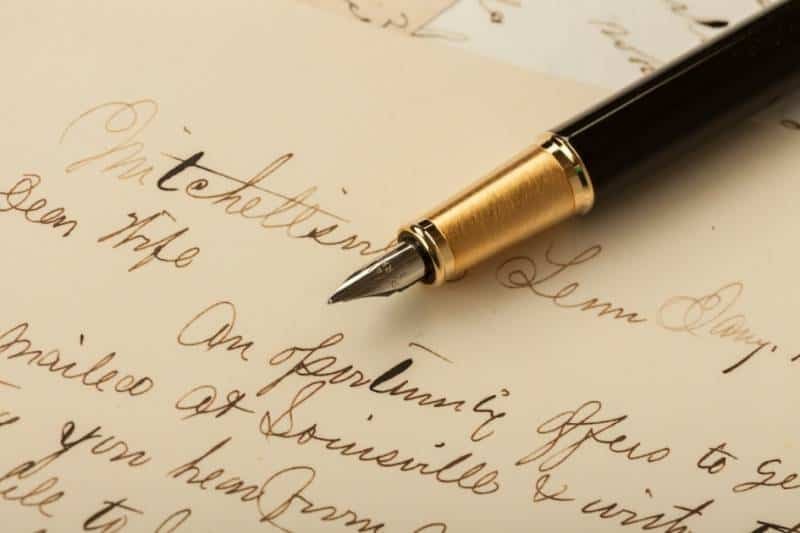 Much of the letter focuses on the specific dealings of Berkshire Hathaway, and gives some information about what shareholders can expect next (like more partnerships with Jorge Paulo Lemann and 3G Capital). However, Warren Buffett, as always, has sage things to say about the market as a whole, what’s happening and what to expect in the years to come. Below are four key takeaways from this year’s letter. In the letter, Buffett takes time to speak about risks faced by Berkshire Hathaway and the market at large. One “clear, present and enduring danger” that the world faces is some kind of a devastating attack. Buffett doesn’t elaborate as to specific kinds of attacks or groups that might commit them, but just says that this is a lingering issue. He notes that the chances of such devastation in any given year are small, but that a small chance year over year approaches certainty over time. Buffett also talks about climate change as a risk for the market. Although he recognizes that climate change poses a significant problem to the planet, right now it is not a big concern for the market. The world is changing and faster now than ever before. Innovation will inevitably lead to increases in productivity. The unfortunate byproduct will be that the skills that people have developed over the course of their careers may be deemed irrelevant in the face of all the coming innovation. Further, people who have invested in traditionally sound companies that fail to innovate will also be losers. Buffett says we need not cry for the capitalists because historically they are expected to take care of themselves. And most of the recent innovations have benefited the wealthy more than anyone else. People can benefit immensely when they make the right investment choice, and there shouldn’t be a mechanism from protecting those people when they make the wrong choice. And though many workers may be unneeded due to no use in their skills and talents, Buffett says that restraining this process would be a terrible decision. He notes that the quality of life in America and the world would not be what it is, if innovators had taken heed to the repercussions of all of their inventions. Instead Buffett proposes a variety of safety nets, citing his favourite as a reformed income tax credit. According to Buffett, the price for a better world should not be devastating poverty for the unfortunate. Since this letter was written in an election year in the US, Buffett had to address some of the mud being thrown by the candidates. While he stayed out of the politics, he mentioned a particular falsehood that especially frustrates him: the American economy declining. Buffett says that while GDP growth remains at 2%, which many observers have lamented, that is not a major problem for the American economy. Though he admits he would like to see that number higher, he says that the 2% rate will still translate into massive returns. The other falsehood Buffett takes issue with is the idea that American children will have it worse off than their parents. From Buffett’s point of view, the market will continue to provide more – in every sense of this word. The size of the pie will continue to grow, but what will be a point of contention is how that pie is split up. Part of Buffett’s goal in writing this annual letter is to help his shareholders understand the data he has put out. Buffett suggested that his shareholders ignore a portion of the GAAP amortization costs of the Manufacturing, Service and Retailing Operations at Berkshire, but he’s trepidatious in doing so because of an alarming trend in the market. It’s becoming increasingly common for managers to tell their owners to ignore certain expense items that are all too real. Stock market analysts perpetuate this canard for a variety of reasons, and the effect is bad information about a company’s costs and revenue being reported as a fact. This means something different for Berkshire, but it’s something that all investors need to be aware of. One of the factors that makes this letter so enjoyable to read is Buffett’s deep connection to history. One key theme in many of these annual letters over the past 20 years is how important adaptation is to companies and investors. Buffett uses himself as an example of how every investor needs to adapt to growing technological change. He was born eight years before the ball point pen was invented, but now relies heavily on search engines. Keeping up-to-date with new products and tech should be just as important for personal investors as it should be for massive conglomerates. Buffett did note, however, that he is not quite ready for Tinder. The other big news from the letter was that Buffett doesn’t plan on going anywhere. At 85 years young, every annual address from Warren Buffett has some people wondering when he will announce his retirement from the president, CEO and chairman positions of Berkshire Hathaway. This year, many pundits assumed that the letter would at least hint at possible successors for the top job at Berkshire. Buffett addressed that this year by saying that he hopes to be working on his 100th birthday, and would like to take that opportunity to announce that Berkshire’s Geico unit has surpassed State Farm as the largest US auto insurer. Here is more information on the stocks that Warren Buffett is holding in his portfolio at the end of 2015. Hiya very cool web site!! Man .. Excellent .. Amazing .. I will bookmark your site and take the feeds additionally…I am happy to seek out a lot of helpful info right here in the post, we need work out more strategies in this regard, thanks for sharing. . . . . .